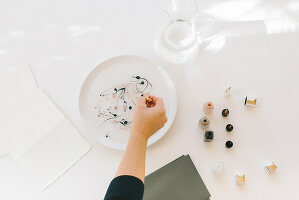 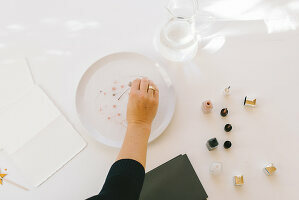 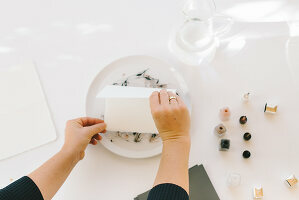 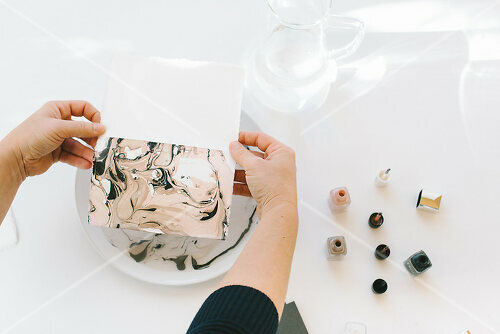 Don’t throw away your old leftover nail polish! 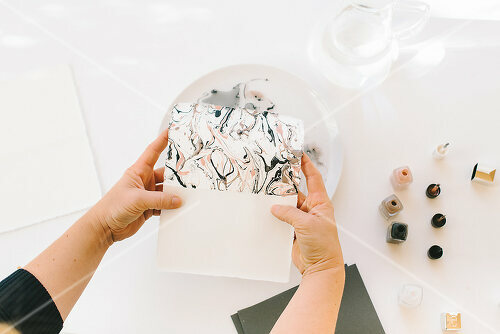 You may have a use for them yet! 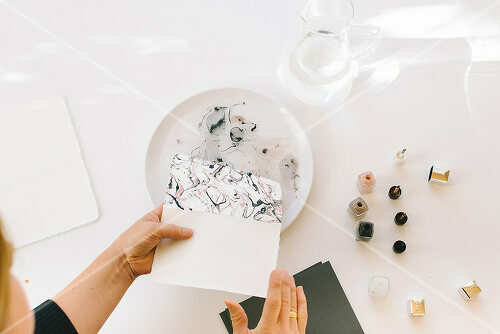 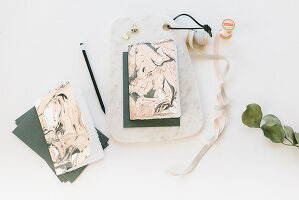 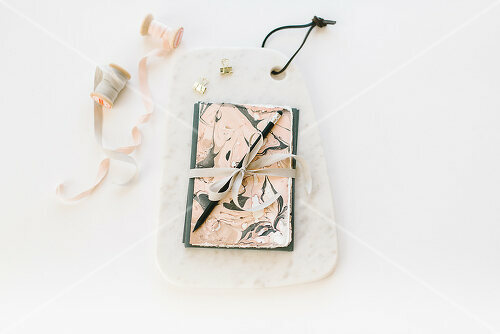 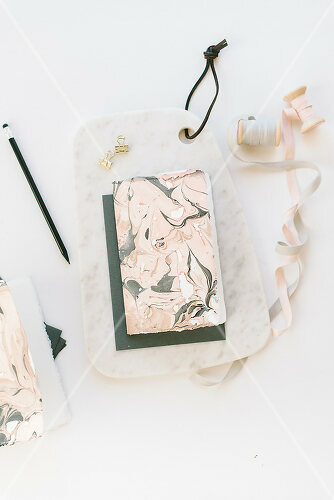 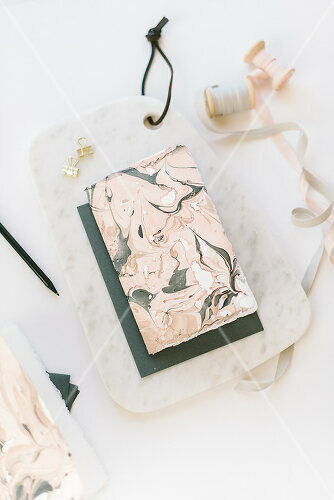 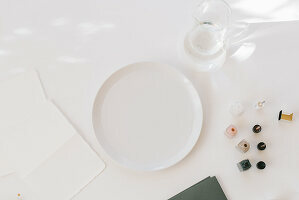 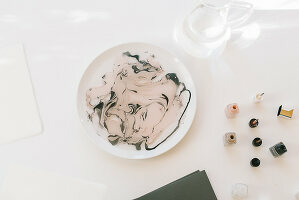 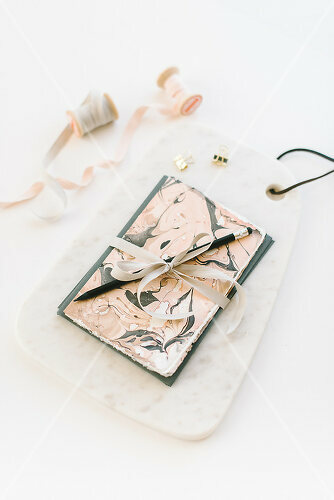 Create a unique marbled look to paper or blank cards to create your own stationary or greeting cards.